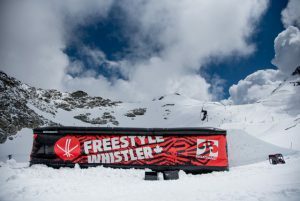 Freestyle Whistler is spearheading the creation of a National Training Centre for Freestyle Skiing in Western Canada. In partnership with Freestyle Canada and Whistler Blackcomb, we have identified a site and secured the generous support of the Whistler Blackcomb Foundation. We now need to match this $300,000 donation to complete the centre and are currently looking for sponsors/donors to make this dream a reality and help produce the champions of the future from right here in the Sea to Sky corridor. • The NTC will include a World Class Mogul course and event site and Judges stand, along with a permanent Airbag Training area, to allow for safe training of acrobatic snowsport skills, throughout Whistler’s 6 month long winter season. • Located right next to Blackcomb’s world class terrain park and halfpipe, making this a real hub for Freestyle skiing and ensuring Whistler will offer one of the best training facilities for Freestyle Skiing in the world. • Located in a prime spot on the mountain close to the newly renovated Rendezvous Lodge in a sunny location, the centre will be seen by millions of skiers each year. • in this location the centre should be be fully operational from the start to the end of WB’s long ski season. • The centre will be used for both training and events, across different disciplines and sexes, from young beginner freestyle skiers in the ‘Freestyle Devo’ Ski School programme, to teens in the local clubs, as well as host provincial, national and international teams to train and compete in Whistler. 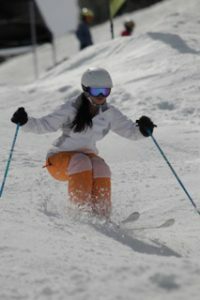 • Snowboard and Big Mountain skiers will also be able to use the facility. As acrobatic snowsports continue to evolve, offering safe training environments is key to success and longevity. • WB’s Snowschool and Freestyle Canada can make use of a turnkey mogul facility to aid in their instructor training. 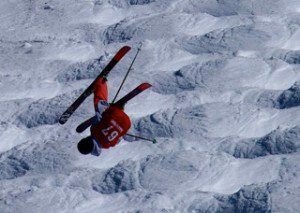 • Freestyle skiing is one of Canada’s most successful winter sports. • Canadian Freestyle skiers continue to thrive, with impressive medal hauls at every Olympics and at World Cup events each winter, along with strong and growing enrolment at the grassroots level. • The NTC will help us to train and develop the champions of the future right here in the west. • We have secured $300,000 in sponsorship with a generous donation from the Whistler Blackcomb Foundation, but we need to match this amount to complete the full centre. • Enjoy longterm association with Canada’s most successful winter snow sport as well as with other snowsport user groups. • Enjoy prime location and global exposure – the NTC will be seen by millions of Whistler’s recreational skiers and riders from around the world and the centre will be recognized as a world class centre of excellence for Freestyle Skiing. • Smaller donations to help us reach our goal will also receive longterm recognition at the venue. • Whistler Blackcomb, Freestyle Canada and the Freestyle Whistler, have joined together and signed a detailed MOU. • The site has been surveyed and with an experienced project management team in place, we are ready to build this project right away. • With your support we will be able to complete the National Freestyle Training Centre this summer. Huge thank you to our founding sponsor The Whistler Blackcomb Foundation and those who have contributed so far to the ‘Friends and Family of Freestyle Campaign’ and our 2 Ullr Gala Fundraisers.